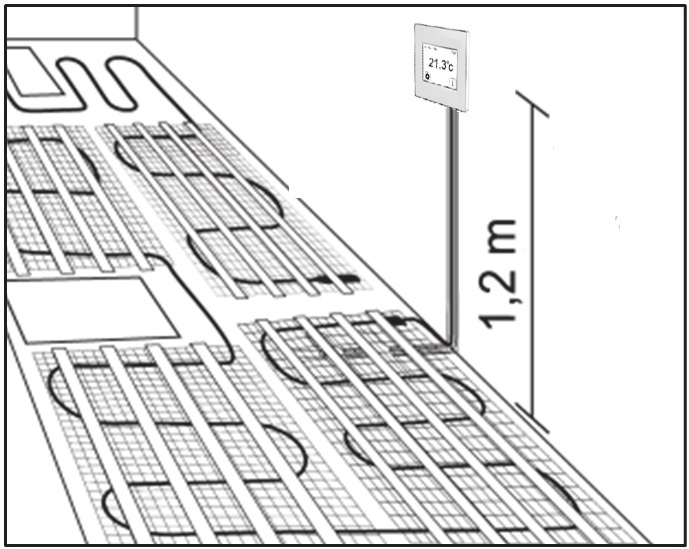 The heating mat is directly originated from the heating cable, intended mainly for underfloor heating and for snow melting in large outdoor areas. 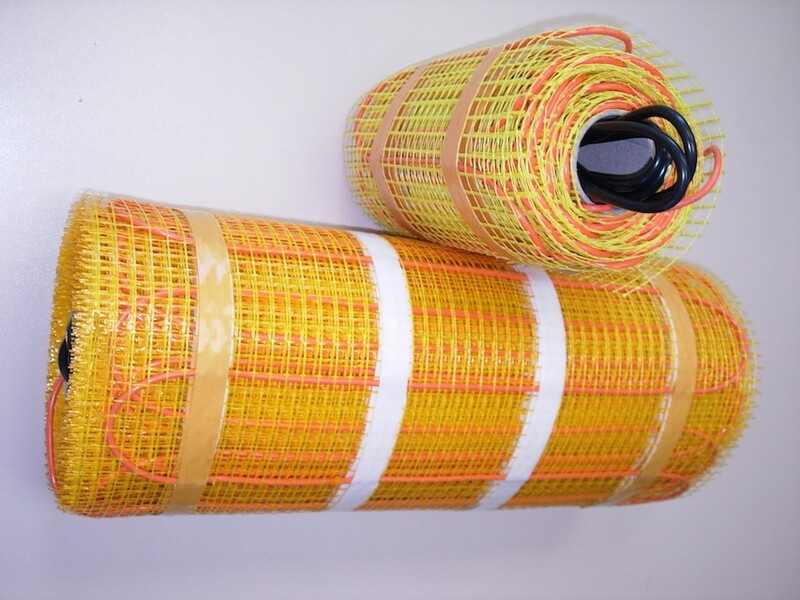 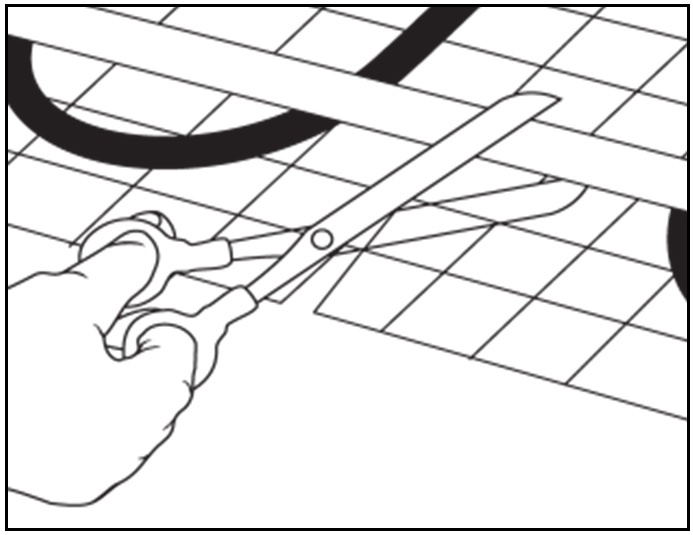 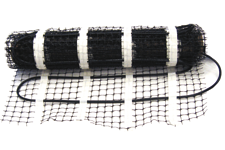 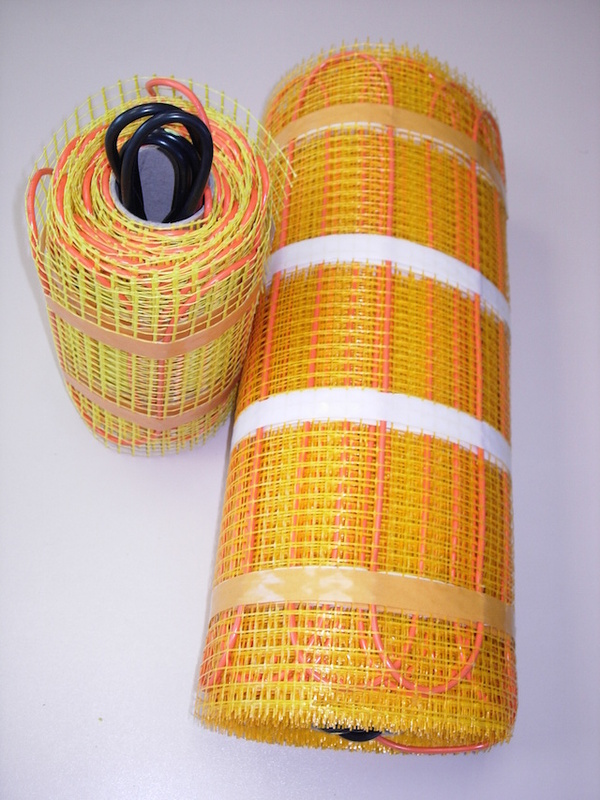 The mat is composed by heating cable fixed on a fiber glass mesh support for an easier installation. 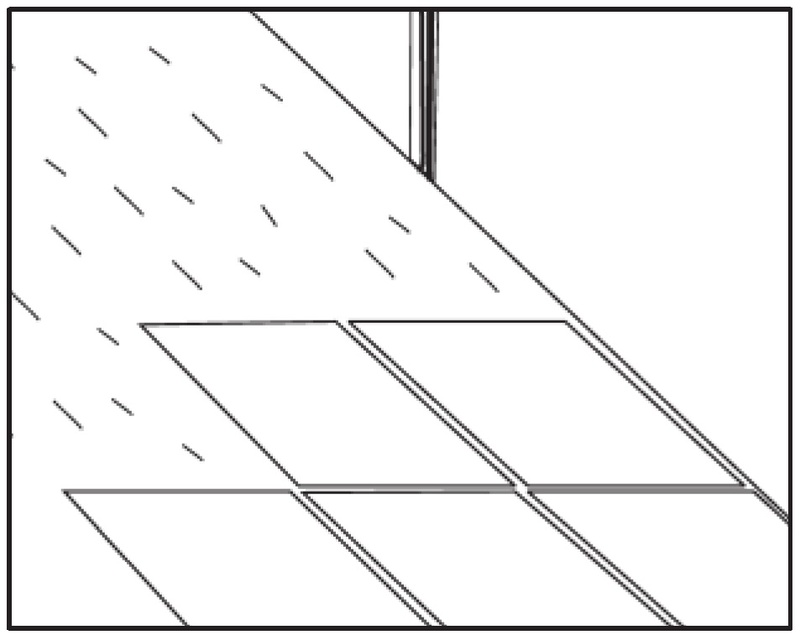 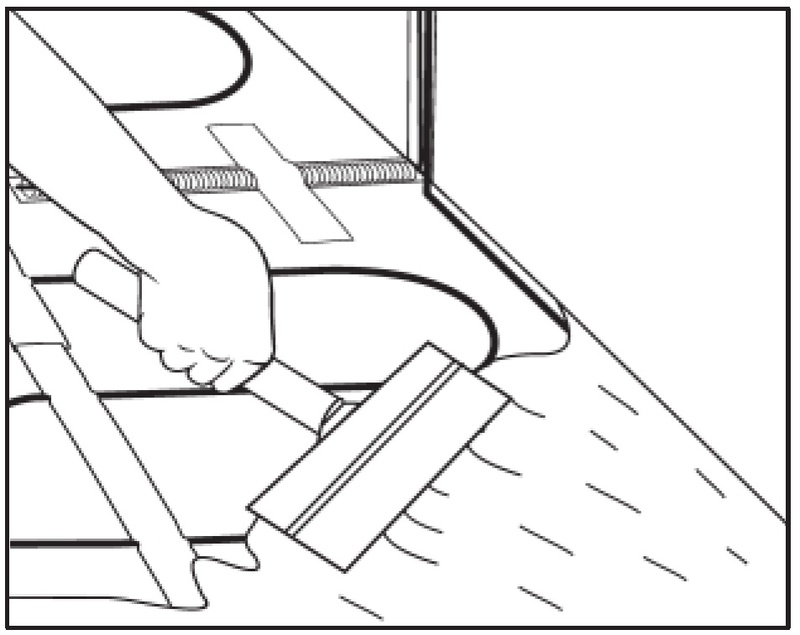 The mat width can vary from 25 cm to simplify the installation in reduced areas (small bathroom) up to 70cm, to decrease installation time in corridors or spacious rooms. 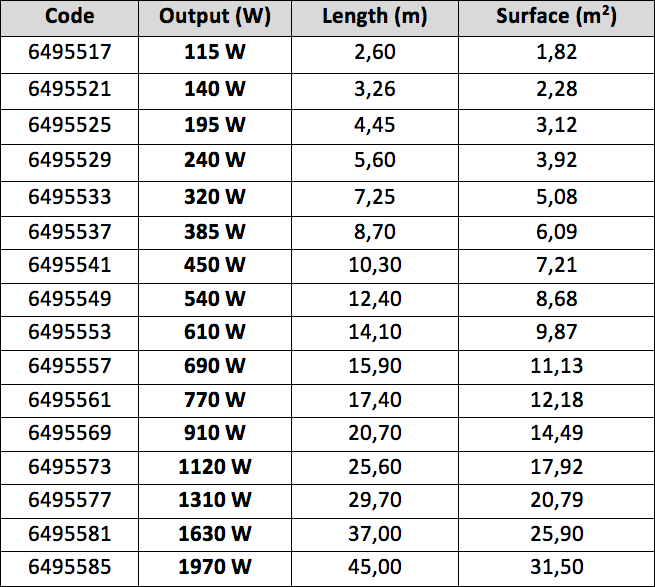 The surface output varies from 60W/m2 for well insulated new construction or low energy houses, up 180W/m2 for bathroom with limited available area for installation (once discounted the area occupied by bathtub, etc..). 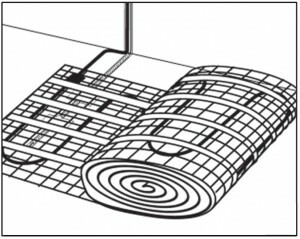 Apart from being used as the main heating systems, the heating mat is also intended for a comfort application to provide a warm floor in bathroom. 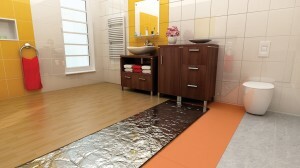 Its main purpose is no longer to heat up the room, but to warm the floor at a pleasant temperature to walk barefoot in the bathroom. 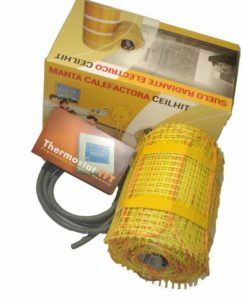 Its easy installation makes it popular for bathrooms in houses or hotels with different heating systems, or for countries where no heating systems is normally installed. 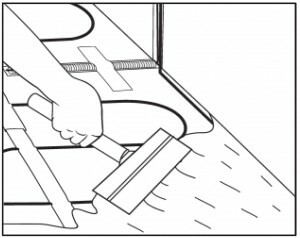 The heating mats can also be installed over the existing floor pavement, with an extra height of only 1 to 2 cm, including a thermic insulation layer. 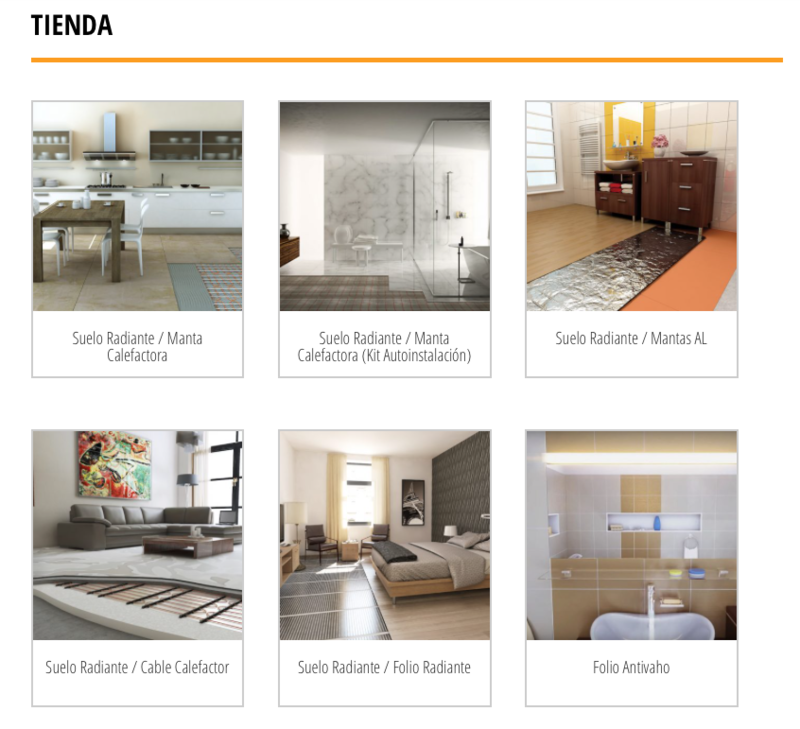 From the continuous development to fit the market needs, we have developed the new Aluminum mat, to be installed in bathrooms or damp environments, below laminated and wooden floors. 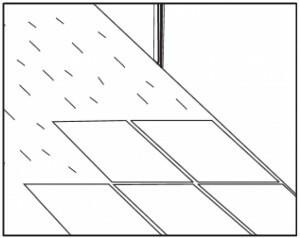 With IP67 coverage, it is totally safe including in case of water escape. 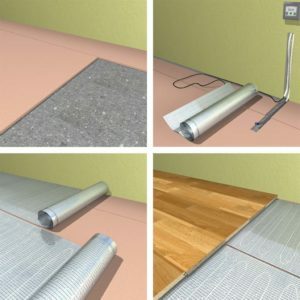 It is a dry-laid system (no need of cement) fast and easy to install, with a reduced thickness (less than 2 mm). 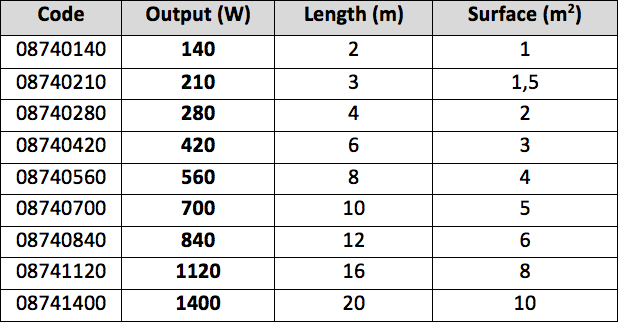 Available in two ranges: 80 W/m2 and 140 W/m2. 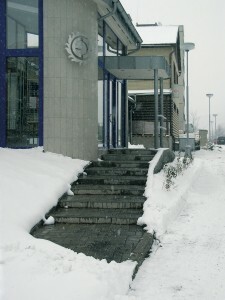 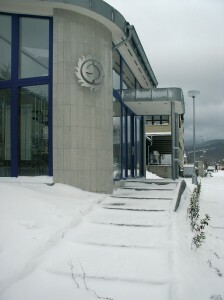 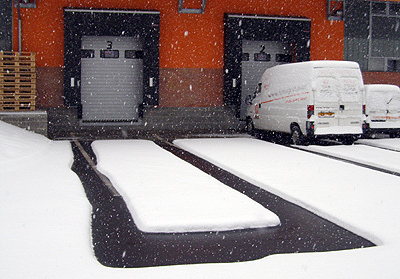 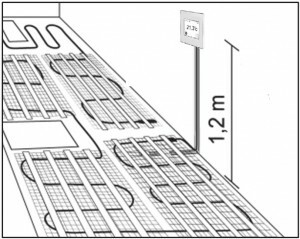 On the other hand, a range of heating mat has also been developed for outdoor snowmelting applications (walkways, loading bay, parking ramps, etc…) for an easier and faster installation. 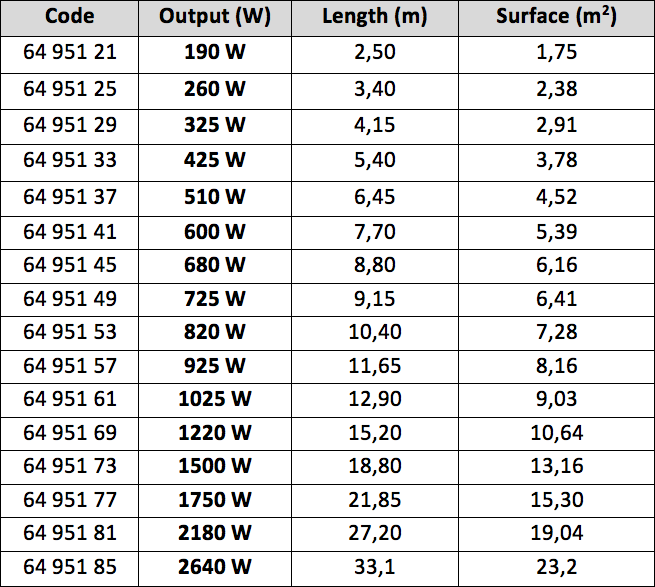 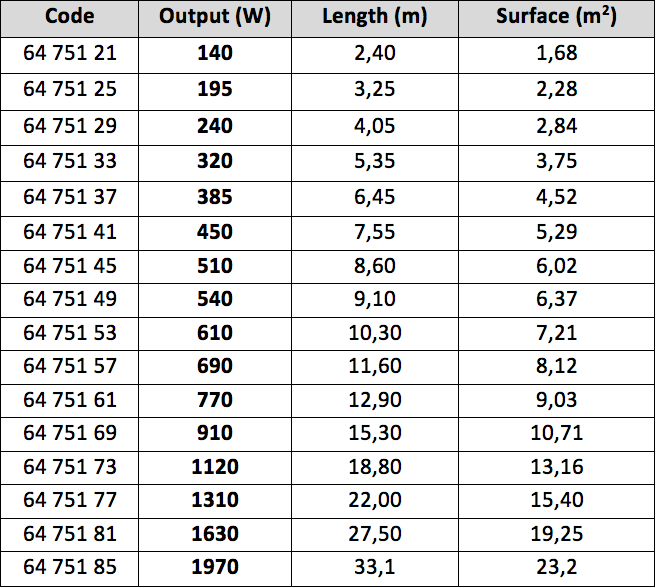 Hereafter, we will detail the different standard ranges from 60W/m2 y 180 W/m2 for underfloor heating system and 330W/m2 for outdoor snowmelting system.